The Contradictions of Modern Moral Philosophy is a highly original and radical critique of contemporary moral theory. Paul Johnston demonstrates that much recent moral philosophy is confused about the fundamental issue of whether there are correct moral judgements. He shows that the standard modern approaches to ethics cannot justify - or even make much sense of - traditional moral beliefs. Applied rigorously, these approaches suggest that we should reject ethics as a set of outdated and misguided claims. Rather than facing up to this conclusion, most recent moral philosophy consists of attempts to find some ways of preserving moral beliefs. This places a contradiction at the heart of moral philosophy. As a resilt it is often impossible to tell whether a contemporary philosopher ultimately rejects or endorses the idea of objective right and wrong. 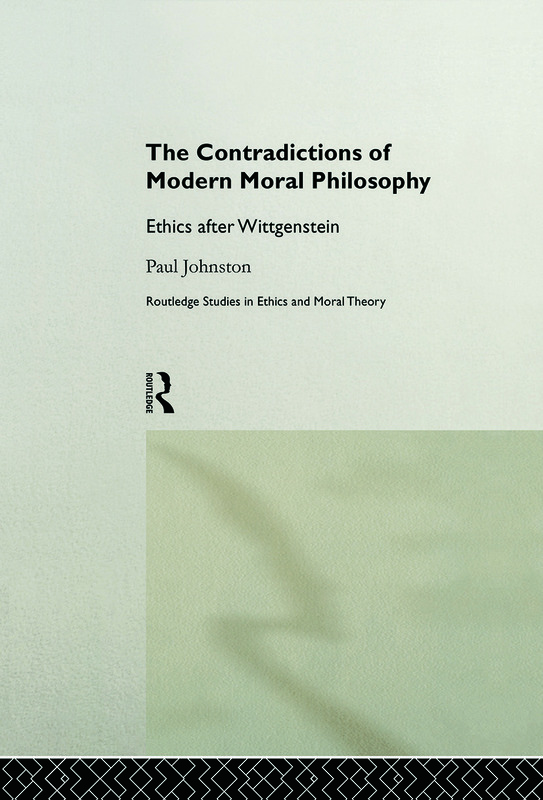 On the basis of a Wittgenstein approach Paul Johnston puts forward an alternative account of ethics that avoids this contradiction and recognises that the central issues of ethics cannot be resolved by conceptual analysis. He then uses this account to highlight the contradictions of important contemporary moral theorists such as Bernard Williams, Alasdair MacIntyre, Thomas Nagel and Charles Taylor.